Building a good wardrobe on a reasonable budget has always taken a bit of thrifty know-how and some deal hunting, but the process has never been this hard. Today, as the middle of the market has eroded, everything feels like it’s either Gucci or H&M. Value-orientated brands in the past, such as LL Bean Signature, have either all disappeared or become a shell of their former selves. We used to be able to recommend $200 outerwear on the regular, but … those deals are a lot harder to come across nowadays unless you’re willing to shop second hand. There are still some solid deals out there, however. As usual, they tend to be in casualwear — and more specifically workwear, where designers can take advantage of using cheaper, more commonplace materials (cotton instead of cashmere, basic constructions instead of canvassing). But they’re readily available, don’t require you to hunt, and will make you look awesome this season. Here are five picks I think are particularly worth a look. Longtime readers know we’re huge fans of J. Crew, although the brand recently left their heritage look and moved more into “business casual basics.” We’re less thrilled about that, but the company’s Wallace & Barnes line remains one of the better places to get a solid, casual wardrobe without breaking the bank. 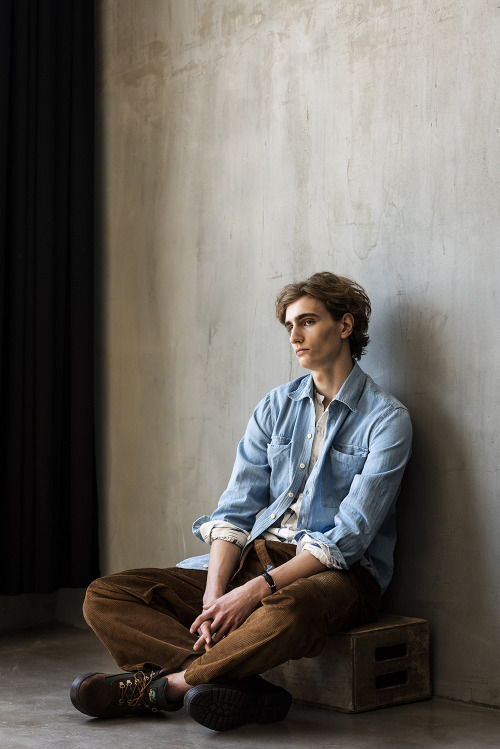 The clothes have more of a boutique feel than J. Crew’s mainline, are made from better materials, and are inspired by vintage pieces that the company’s former menswear designer, Frank Muytjens, collected for their design archives. 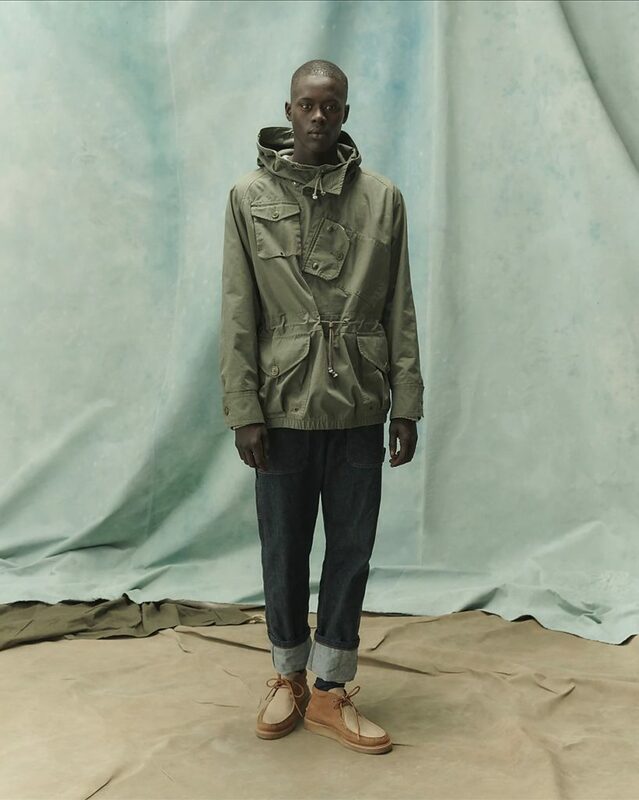 This Canoeist smock, for example, is modeled after a rare, archival jacket worn by British Special Boat Service officers during the Second World War. 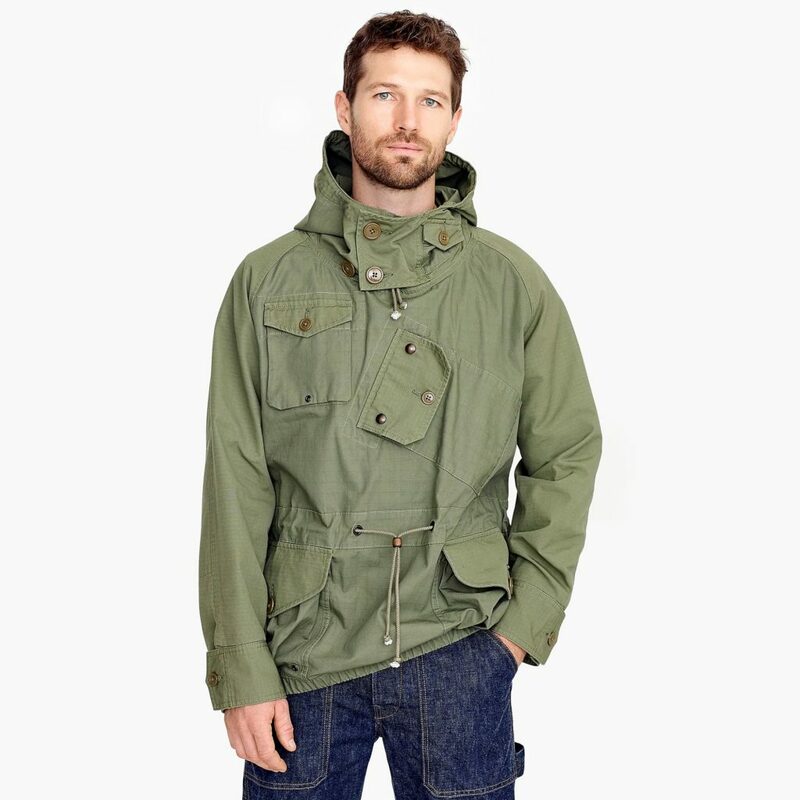 It’s cleverly made from two ever-so-slightly different shades of olive green ripstop cotton, and features a patchwork like configuration of pockets. There are two box-pleat pockets at the hips, a stash pocket at the neck, a bellow pocket at the chest, a slant map pocket, and a gigantic pocket at the back for your friends to play tricks on you. The waist and hood have an adjustable drawstring closure, and the hem is tightly elasticated so you can adjust this on your body. 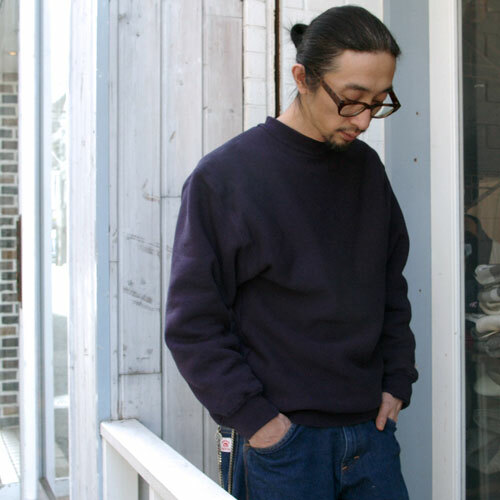 All in all, the smock looks like something you’d find from Nigel Cabourn or Engineered Garments, except it’s at J. Crew and available for about $200 once you use one of their many 30-40% coupon codes. Treat it to a DWR spray and you suddenly have a hooded rain jacket. I love ragg socks this time of year. The term ragg refers to an old process whereby waste fibers – usually wool, although sometimes also cotton – were recycled and made into new yarns. Those yarns were then turned into sweaters, mittens, and socks, typically in designs suited for camping, hiking, and other outdoor pursuits. Today, ragg mostly refers to a look – a kind of marled, sometimes slubby cotton or wool knit with a bit of heft and weight to it (designed to imitate the originals). As socks, they go great with boots, moccasins, and almost any other kind of footwear you might be wearing in the fall and winter months. American Trench makes some of my favorite boot socks of all time, and this season they have a ragg blend model. 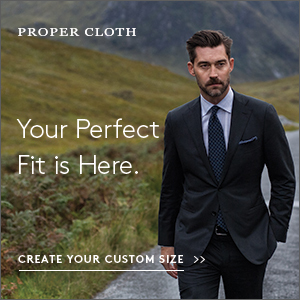 I imagine those are just as good as their wool boot socks, but if you’re looking for a deal, try Wigwam’s Cypress. They’re sized to fit, made in Wisconsin, and produced by an old heritage company that’s been around for over a hundred years. Most of all, I love how they come in a billion colors (I favor orange) and have this wonderful, slubby quality. There are thick bits here and there throughout the white yarns, giving the socks a nice flecked appearance (kind of like Donegal tweed). 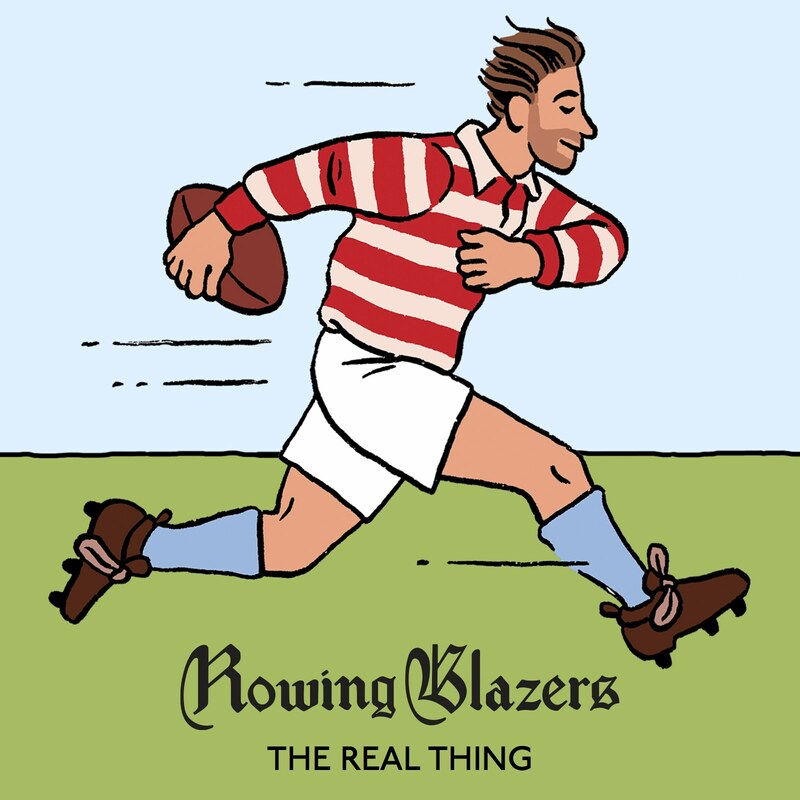 They run for about fifteen bucks on Amazon and you can find your size at their site (I’m a size 9D shoe and take a size large in Wigwam’s socks). Every fall season, I can’t seem to stop myself from buying more sweaters, but the one I keep coming back to, year after year, is my reliable grey sweatshirt. For casual use with chinos and jeans, I can’t think of anything better. It’s low-maintenance, sporty, and if the fit is right, can look pretty great. The sweatshirt market today is mostly defined by three categories: cheap sweats that don’t feel very good and look even worse; upgraded sweats with a streamlined fit; and old-school-style sweats that take inspiration from vintage Americana. The third is my favorite, but they’re expensive — typically about $150, but they can run as high as $300. (Check brands like Buzz Rickson, 3sixteen, and Todd Snyder’s collaboration with Champion if you’re interested). For something a lot more affordable, there’s Pennsylvania’s Camber, the label under-the-label for brands such as Bape offshoot Very Ape, Wooden Sleeper’s in-house line, and, rumor has it, Engineered Garments Workaday (look for a made-in-USA vs made-in-Canada label). 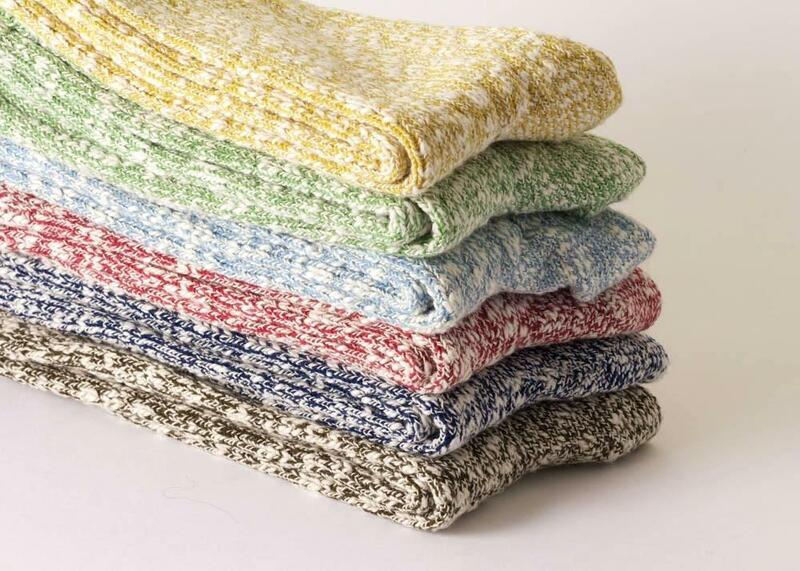 Camber’s sweatshirts are extra heavy, waffle-knit lined, and come in familiar, collegiate colors. They run a bit roomy, but manageably so (see above). 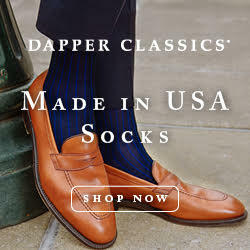 You can find them online for about $85 at All USA Clothing, All Seasons Uniforms, and the more menswear presentable Beige Habilleur. Note that the first two require month-plus lead times for delivery. The craze for Americana/ workwear clothing seems to have died down, but the trend left us with some very useful things. Raw denim jeans are still great, and light blue chambray shirts are still handy. I also find that work boots remain versatile, even if you don’t care to dress like a mid-century lumberjack. I wear mine with field jackets, chore coats, and leather bombers. Generally speaking, a good pair of work boots will run you $300 and up, but Wolverine’s Kilometer is the exception. 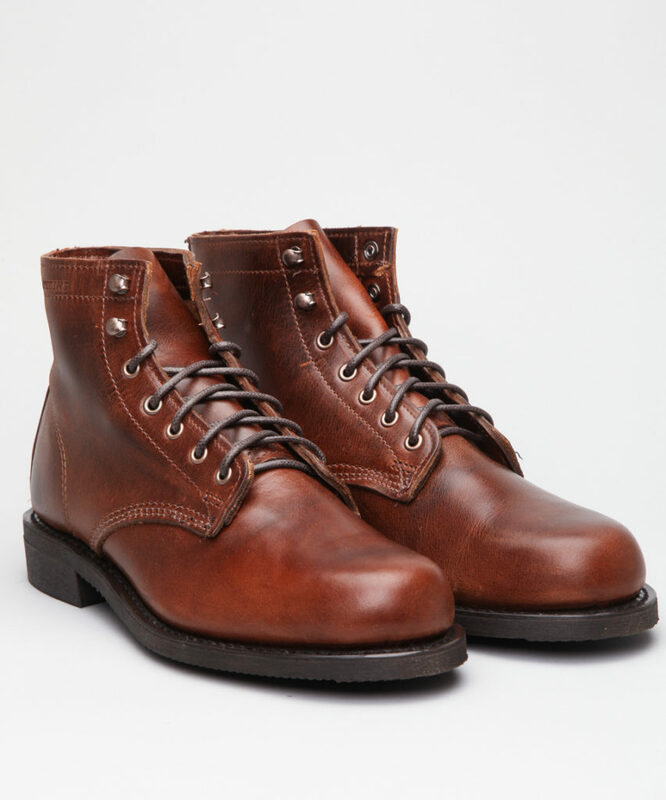 It’s the younger brother of the company’s signature 1000 Mile boot, but still made from full grain leather uppers and a Goodyear welt construction. And the design is … pretty great. You’ll get some loose grain creasing with these (loose grain refers to how the leather’s wrinkling is a little more pronounced and heavy, an effect of the manufacturer cutting the leather from the “lower quality” parts of the hide in order to save cost). But these are work boots, not dress shoes, and in casual, workwear-y outfits, we think that’s fine. They’re $130 right now at DSW, but if you sign up for their email list, you can get a $10 off coupon code in 3-4 days. For $120 shipped, you can hardly do better. Timberland’s Field boot originally debuted in the early 1980s as a hybrid of the company’s classic work boot and a modern hiker. It all started when one of the company’s executives, Sidney Swartz, found polyurethane injection molding machines that could make boot soles. The resulting boots were lightweight in construction with a rough, hardwearing exterior and soft, comfortable interior. Hunters lovingly call this a “sneaker boot” for its lightweight feel and minimal break-in period. In the streetwear community, they’re referred to as the Beef and Broccoli for the brown/ green colorway. The Beef and Broccolis are a streetwear classic. 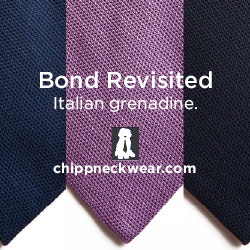 They pair well with fatigues or jeans, puffer jackets or field coats. In the past, they’ve gotten the Dallas Penn and Supreme co-sign. They were also recently featured in an 18 East lookbook (where the above photo was taken). I like them in a more Rugged Ivy context — with 60/ 40 mountain parkas, Rocky Mountain Featherbed vests, chambray shirts, Champion sweats, and Levi’s jeans. They’re a bit too modern to wear with heritage-y things such as Barbour jackets, but they’re good in any wardrobe that’s inspired by post-1970s hiking or camping. In the photo above, you also see how they look with just some corduroy trousers and an open oxford cloth sport shirt. Timberland’s Field Boot retails for $160, but you can find them on sale for as little as $50. Watch out for deals this coming holiday season.